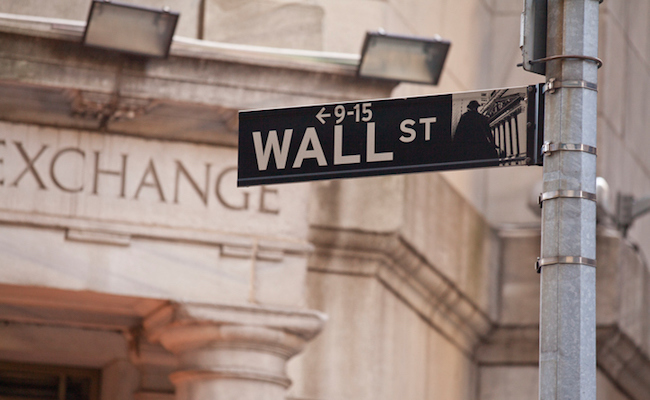 Do you trust Wall Street and the big banks? Chances are that you don’t. According to a Bloomberg poll, the majority of Americans don’t trust our largest financial institutions, with just 31 percent saying they have a favorable view of them. It’s a bad reputation that’s been well earned, too. You know who does trust the banks, though? Republicans. Late on Tuesday night, conservatives in the Senate voted to get rid of a rule that would allow consumers to file class action lawsuits against banks that defraud them and rip them off. Not long ago, the Consumer Financial Protection Bureau (CFPB) attempted to empower Americans from getting screwed over by allowing them to wage class action lawsuits against offending corporations that do them wrong. The rule was set to go into effect in early 2018. Before the rule could even make an impact, though, Republicans in the Senate, by a 50-50 vote (thanks for breaking the tie, Mike Pence), voted to get rid of it. The House of Representatives already voted to repeal this rule back in the summer. As a result, the big banks will be able to continue “fixing” their disputes with customers via forced arbitration. Forced arbitration almost always works out in favor of corporations since they can avoid the legal costs of going to trial, and they routinely pay much less in settlement money than they would if the matter went to court. Nevertheless, Trump is apparently eager to sign the repeal, with a White House statement saying that the rule left Americans with “fewer options for quickly and efficiently resolving financial disputes.” Though it’s true a class action lawsuit is usually a lengthier process, it’s how consumers can actually recoup their losses. Besides forced arbitration isn’t exactly an “option” when it’s the only option. Arbitration also allows companies to conceal their misdeeds, allowing them to discreetly address problems that some consumers discover on a small scale while the problem may persist for many others. The two examples Corday cites are important to consider given the GOP’s decision. Consumers should have the right to hold Equifax accountable for its recent and unprecedented data breach of half of the country’s sensitive information. Wells Fargo, meanwhile, is a textbook case of how forced arbitration can go wrong for consumers. Amidst opening millions of fake accounts in customers’ names, it managed to settle for way less using this process and minimize the optics on the company’s harm. Only a couple months ago did authorities learn that Wells Fargo created two-thirds more fake accounts than it initially acknowledged. Wait, so why are Republicans making it almost impossible for customers to sue financial institutions, again? Maybe I got it wrong at the start of this piece – it’s not so much that Republicans trust Wall Street to do the right thing – by now they know precisely what kind of shady tactics they routinely employ – it’s just that they don’t care. Beholden to its donors, the GOP would rather maintain a system that benefits the banks than the American people. Pay attention, and vote accordingly. Greed again.... No surprises here. a quote: "It's the dirtiest hands that point fingers." Wesley Struebing Bill Clinton repealed the 1933 banking law, Glass Steagall, to allow the banks to rip us off, and Hillary refused to reinstate it, because our corrupt banks own her, like Obama. So corporations and Wall Street own both corrupt parties and our media, and to say that only the Republicans are corrupt and in the pockets of Wall Street really is disingenuous, and untrue. Tom Perez, the corrupt leader of the Democrats just fired all the honest Bernie Sanders progressives from the Democratic party, so they can continue their corruption, and make millions from banks, Wall Street, and corporations. As usual your phony only the Republicans rant, and false diatribe demonstrates your lack of intelligence. It's very simple, you don't banks and their charges, don't deal with them, that's called capitalism. Those big banks are the criminals and need to be CHARGED immediately. Class action is way too slow. Every time a bank is caught stealing , it needs to be entered in a data base, and required to PAY BACK what they took,ON THE SPOT. regardless of what they call it.When their illegal activity reaches a minimum level, they must be shut down. People can tell when they've been ripped off. It doesn't take lawyers to prove it.Enough is enough. And by the way, repubs can CALL themselves Dems while still holding repub lack of values so they can claim it's the other side doing it. We KNOW what Dems are supposed to be representing.